Our muscle car master cylinder is designed to bolt right to your firewall or vacuum booster. 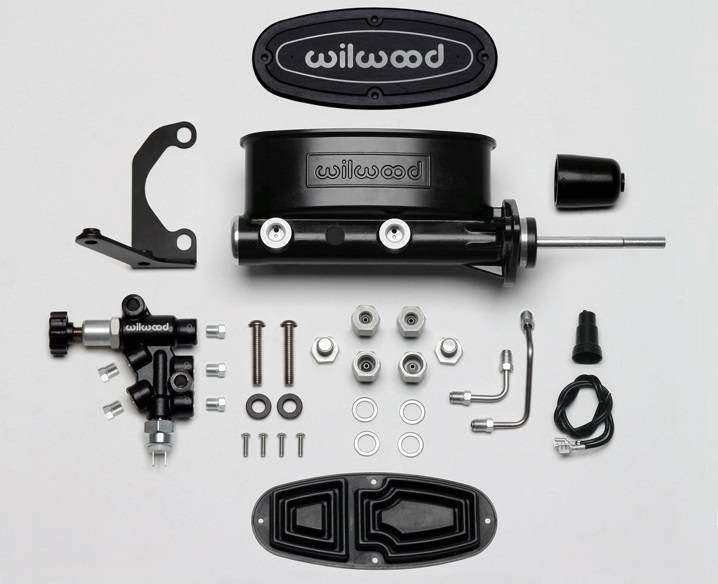 The aluminum master cylinder weighs only 3 pounds, and comes in bright or black e-coat finish. The adjustable proportioning valve comes with mounting bracket, pre-bent stainless steel hard lines and a durable black e-coat finish.